Caveat Solicitors has a specialist team of experienced solicitors dealing with all aspects of family law. As a department, we pride ourselves in offering a comprehensive service to all our family clients. We aim for the highest standards of client care. 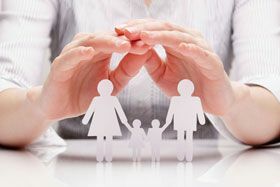 Our outstanding reputation in family and child care law has meant that we are often recommended to potential clients by many people such as our existing clients who have been happy with our service, organisations and charities we work with as well as other legal professionals. We work closely with charities and supporting organisations to provide vulnerable clients with a discreet and efficient service. We are able to see clients at short notice and do not waste any time to apply for any protective measures a vulnerable client may need from the courts. 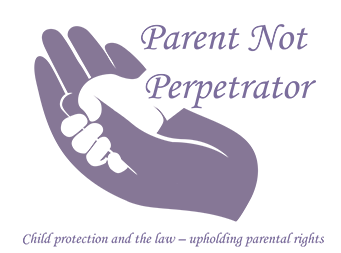 Our team of practitioners are supported by experienced and competent staff, we have a number of solicitors who have achieved specialist accreditation in the areas of children and family law, we also have staff who are members of Resolution at different levels. Some of our staff are also bilingual and have assisted clients from all ethnic groups. The team of talented family solicitors is led by the principal Rehana Choudhry who is one of the very few London based Adult Representative Members of the Law Society's Children Panel, which enables her and those whose cases she overlooks, to represent parents and other family members or adult parties in such proceedings at the most specialist level. The changes in legal aid brought about by the Legal Aid, Sentencing and Punishment of Offenders Act 2012 (LASPO) has had a drastic effect on those who can no longer access free legal advice particularly in the areas of family law, we hold a Legal Aid contract in family law and are also able to offer reduced rate fees to those affected by LASPO and flexible terms of payment. We are able to act swiftly to provide an emergency service in cases where clients are at risk of threats, harassment or violence in order to seek relevant court orders to protect them. We also have strong links with domestic abuse support charities and can assist clients with any other non-legal support they may need through their difficult time. The resolution of your financial matters, including the future of your home, is a major issue in any separation. Our experience enables us to find amicable and civilised solutions which at the same time meet the necessary legal requirements. If necessary we will issue court proceedings on your behalf so that a realistic timetable can be set to work towards a settlement. Where your case is a difficult one where the court’s formal decision is required in place of an agreement, we have the expertise to represent these and gain the best possible order. We also have staff accredited with the Law Society Advanced Family Law Panel who can provide specialist advice in these matters. Our Family and Matrimonial team can offer a free initial consultation to assess your case and provide an overview of whether we can assist. For further information or to arrange an appointment with a solicitor in our Family department please call us on the number listed at the top of this page. Alternatively, please send us an email .